Genuinely good wildlife photography pushes the photographer to his limits. It involves finding the ideal position between light and dark, between forest and clearing and these days also between nature, farmland and road. Extensive natural habitats and long animal migration routes have become rare. That’s why this book is dedicated to a Europe-wide nature conservation project called “Grünes Band“ which is committed to the protection of the green belt habitat along the former Eastern German border. Today it is symbolic of the conservation of animal migration routes without which many animals in Europe would already be extinct. 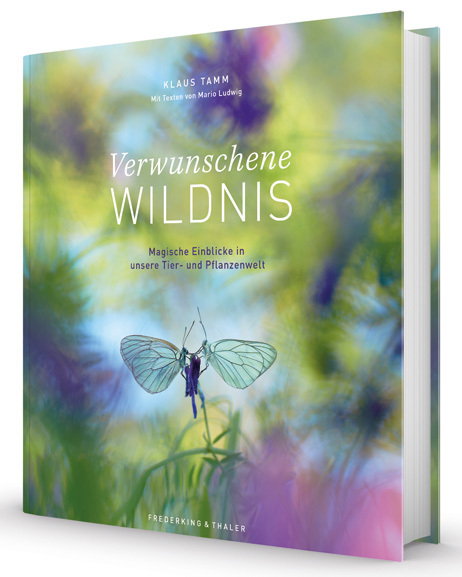 Klaus Tamm’s book impressively illustrates how unique and worthy of protection Europe’s natural habitats are. 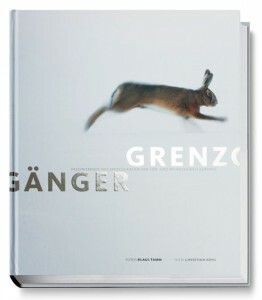 It features a collection of images by the multi-award winning photography genius and nature lover. Klaus Tamm takes the initial image and gets ‘right up close‘ to produce results that literally dripping in detail. His photos are both graceful and intense. This book is full of surprises and fleeting moments captured on camera. Some are so incredible that the reader may wonder whether the image has been manipulated. Be assured that none have. The rules of wildlife photography are stringent and manipulation is strictly prohibited. Klaus Tamm’s work has earned him many accolades and tributes. In 2012 and 2015 he was named Wildlife Photographer of the Year (GDT). He was also commended in the BBC’s Wildlife Photographer of the Year competition. The photo texts are sometimes contemplative, sometimes amusing. They surprise, amaze and inform. Author Christian Arns is Head of the German Press Academy. He has worked as a journalist at “taz“, been press spokesperson at the Federal Ministry of Justice and is President of BUND-Berlin nature conservation association.